One of the leading companies in Mobile Handset Industry – Nokia launched two flagship products namely ‘Nokia Lumia 1320’ and ‘Nokia Lumia 525’. It sports a 6 inch IPS LCD display with super sensitive touch. Nokia Lumia 1320 is powered by Qualcomm Snapdragon S4 1.7 GHz Dual Core processor. It runs on a Li-ion 3400 mAH battery. This smartphone comes with a 5 MP auto focus rear primary camera with LED flash and a VGA secondary camera. It features Microsoft Windows Phone 8 operating system. It comes with an 8 GB internal storage memory and expandable memory of up-to 64 GB. Nokia Lumia 1320 sports a big screen with 720p HD display. The screen is massive and one can enjoy their favorite games, videos or apps seamlessly. One can add sequence of motion by downloading the Nokia Camera app. Photo editing can also be done efficiently. SkyDrive feature ensures that all your photos, videos, notes and docs are available when needed. With Auto sync, everything is securely secured. This phone is available in four different colors namely Yellow, White, Black and Red. ‘Nokia Lumia 1320’ is priced around Rs. 23,900. It sports a 4 inch IPS LCD display. 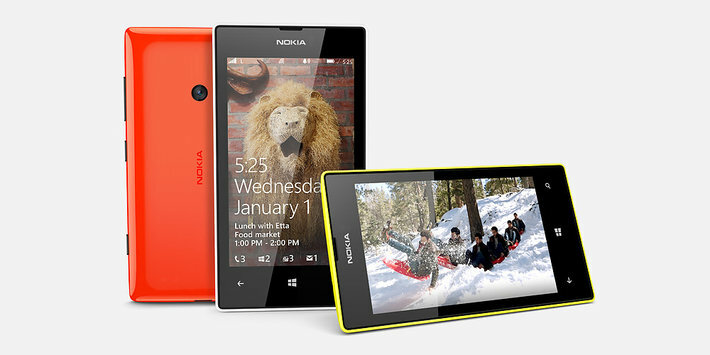 Nokia Lumia 525 is powered by Qualcomm 1 GHz Dual Core processor. It runs on a Li-ion 1430 mAH battery. This Smartphone comes with a 5 MP rear primary camera with auto focus. It comes with an 8 GB internal memory and expandable memory of up-to 64 GB. 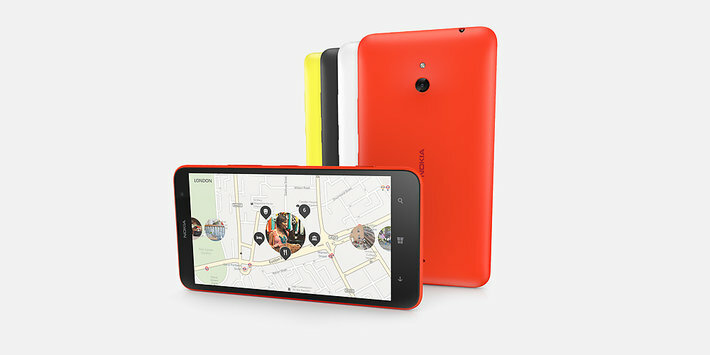 This phone has got premium looks and comes with glossy changeable covers in Orange, Yellow or White. It sports 1 GB RAM, so one can play games or browse apps seamlessly. The Microsoft SkyDrive feature has proved to be of utmost help and ensures all the important data is secured. ‘Nokia Lumia 525’ is priced around Rs. 10,300.